Large cosy room with all comfort, bathroom with shower and toilet. 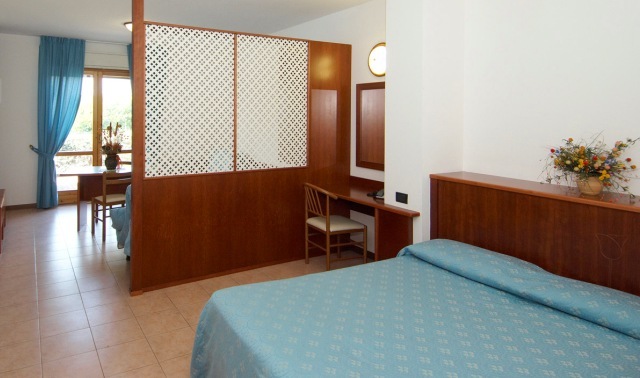 The rooms are equipped with a double bed and a sofa bed, telephone, desk, TV. All rooms have a terrace facing swimmingpool. Max. capacity 4 persons. 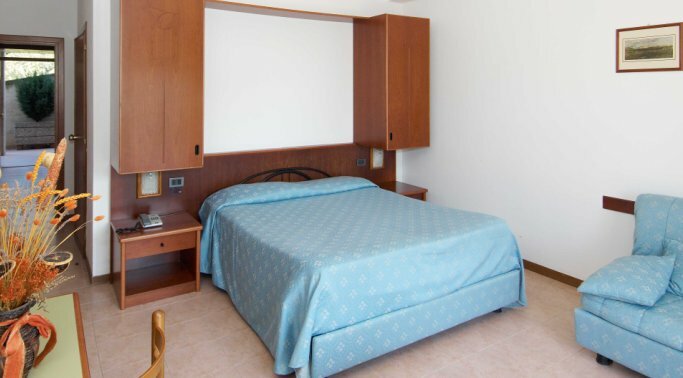 For those who want to get the most out of their stay in Umbria, Villaggio Albergo Il Gabbiano offers its customers the opportunity to stay in comfortable self-contained apartments. Starting from a minimum of three nights. There is a choice of three different types of apartment, all equipped with comfortable seating, desk, color TV, telephone, bathroom with shower and a fully equipped kitchenette. The choice of various types of accomodation, and the friendly and welcoming staff guarantees our customers a wonderful stay. The comfort of the apartments and the refreshing swimming pool make the Villaggio Albergo Il Gabbiano the ideal destination for your relaxing holiday in Umbria. 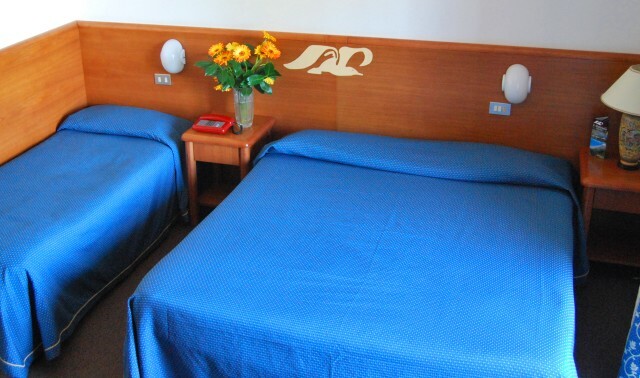 All rates are per room per night, bed and buffet breakfast included, according to the number of persons sharing the room. Passignano sul Trasimeno Municipality considers Euro 1,00 City tax per person per night for a maximum of 5 nights. Children up to 14 years are free.